Why the delay with DNA? "Closed" vs. "Open" Disaster: Useful distinction or misunderstanding? January 8, 2005  There are many news stories about plans to identify the tsunami victims, using DNA of course. expensive. A thousand, even tens of thousands of dollars per victim identified based on previous such projects. At this kind of price, identification is a luxury that makes sense only for wealthy countries. In places like Thailand, let alone Indonesia, this represents a year of income. How can it make economic sense to bother with DNA identification at those prices? history. There are a comparable number of victims in Iraq (around 180,000 Kurds from the late 1980's, a comparable number of Shiites from the abortive 1992 uprising, and while I've talked to several people who are interested in identifying them, nothing is happening. But maybe I was overly pessimistic. It appears that a Chinese group has volunteeered to do DNA testing for free. That might solve the expense problem. Maybe it only applies to Thailand though. There are many stories of various teams in the disaster region with the intention of collecting DNA samples. Training in DNAVIEW. It is fair to say that DNAVIEW is the acknowledged world-wide standard in kinship analysis. The tsunami identifications will be in part an exercise par excellence in kinship identification. Mathematical advice. A number of basic and not so basic questions arise. What should be the standard for identification? 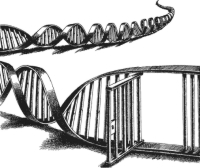 How can we combine DNA with dental or other evidence? What population(s) are appropriate as reference populations for DNA allele occurence data? What are appropriate hypotheses when considering a DNA identification from kin? Suppose several related victims are missing? Suppose several related victims are found? I went to Thailand at the behest of the company Kenyon International, who in turn is contracted by the Australian government, a major donor to the tsunami relief effort. Therefore Kenyon or the Australians, depending on the way you look at it, paid for DNAVIEW and for my services. Contrary to information was generously passed along by the rumor mill to many including myself, I don't believe that Kenyon is operating on a "cost-plus" basis. That is, they don't take a profit on their expenses. In Thailand the DNA is viewed as only an identification (ID) modality among many. This contrasts to the paradigm of say WTC, where the DNA had a central role. That's not to say that an ID could be on DNA alone  all the data was cross-checked. But in NY quantitative science is primary, in Thailand apparently subsidiary. As it happens, DNA is unusual as an identification modality that naturally and customarily lends itself to a numerical expression. The strength of a DNA match is expressed by a number, the likelihood ratio, such as 1 billion, whereas a dental or fingerprint ID is expressed by an adjective, such as "positive" ID  meaning in effect that the likelihood ratio is essentially infinite. From my perspective the lack of an overall quantitative framework in which ID's are defined is unfortunate and awkward. Why? Because some of the incidental data, such as the geographical location where a body turned up, also reasonably lends itself to expression as a number. In the context of 10,000 missing in Thailand, a DNA likelihood ratio of 1 million may not be big enough to announce a confident ID. However, if the beach where the body was found limits the number of possible identities 50-fold, and if gross physical attributes reduce it 10-fold further, 1 million may be sufficient. Perhaps this unfortunate situation is an inevitable consequence of the lag in DNA profiles coming forth. After all, it might be possible to consider dental and fingerprint evidence from within a quantitative framework in principle while in practice never using it, but such an arrangement is obviously artificial. And to be sure the problem is a little academic. For a while all we knew was that a lot of post-mortem ("PM", or victim) samples went to China (who had made an agreement through the Thai Ministry of Foreign Affairs to do the PM DNA typing) but virtually no successful typing was done. Inevitably there was speculation that the problem was the Chinese lab's inexperience with forensic samples (that is, ones that have been randomly compromised by the environment). However, based on results I am just beginning to learn this may have been unfair. Other labs around the world have tried their hands at some of the samples also with very poor results. Of course it is not ideal that the bodies were exposed for some weeks to tropical heat, but I don't think anyone expected that this treatment would have much worse effect on the DNA than smoldering for weeks at the World Trade Center site. We will know more in a few weeks. I don't have any laboratory experience myself with DNA, but I pass along the information below from Dr. Cristián Orrego in the hope that it may be useful. It seems to be obvious to some and unfamiliar to others. Most reports describing sampling from victims of the tsunami tragedy in South Asia for possible identification via genetic profiling do not highlight collection of nail clippings as a source of the victim�s DNA.� A review of the published literature (1,2,3,4,5), as well as experience at the Missing Persons DNA Program, Jan Bashinski (JB) DNA Laboratory, Bureau of Forensic Services, Department of Justice, State of California, indicate that DNA �entrapped� in the keratin matrix displays promising resiliency, post-mortem decomposition and periods of underwater exposure notwithstanding.� In one case examined at the JB DNA Laboratory, all 13 CODIS loci were obtained from nails of a foot recovered following submersion in seawater for likely two months.� A systematic appraisal of nails exposed to various environmental conditions revealed that STR allelic information, obtained admittedly in this study with a �miniplex� primer set, was achievable in at least 80% of the samples following 3 months of underwater residence (4).� Nails display fairly constant DNA content (259 +/- 94.1 to 309 +/- 83 ng of DNA /mg of nail, depending on the age generation) with no significant differences with respect to finger or gender (4).� The ease of collection and storage as well as simplicity of sample preparation (in particular surface cleaning/decontamination) for subsequent DNA extraction, further recommend sampling of nail clippings for identification following mass tragedies. In addition, the procedure is within a measure of non-invasiveness of the victim�s remains, which family relatives will likely appreciate. As I have mentioned before, I don't think the practice of mass disaster identification is yet a mature science. There are methods but not methodology, guidelines but not rules, a lot still to be experienced. Here are my opinions about identifying the bodies from the tsunami. One of the salient and distinguishing features of the World Trade Center identifications was the size of the disaster. This may be multiplied for the tsunami, with consequent untold complications in international cooperation, in allocation of resources  in short, in management. But I'll set those problems aside, not because they are not interesting, and not because other problems are necessarily even greater, but simply because they are outside my expertise. For the same reason, I won't try to expound on the role of dental, visual, and other modalities of identification besides DNA. From the perspective of the mathematics of assigning identities, the disaster fortunately can generally be considered to be a collection of smaller disasters. That is, if a body is found in Thailand the standard for reasonably certain identity is based on distinguishing this victim among the thousands who died in Thailand, not on the much larger number who died overall. Consequently, the necessary amount of DNA evidence is less than if all the people had died in one place. Even so, the size of the individual disasters is staggering. Thanks to the tropical environment the victims' conditions are unappetizing, but still intact. Therefore probably there will be no problem obtaining a biological sample that is sufficiently pristine to yield a full DNA profile. The ideal and simplest method of DNA identification is to match a victim to a known sample of the victim. For example, if the victim was a blood donor as the New York City firemen tended to be, then a reliable reference DNA sample can be obtained. If that sample matches a full DNA profile from a victim, then identical twins aside identity is sufficiently proven. For the tourists, direct references may often be available in the form of intimate items left at home like toothbrushes, but often not. People carry those things when they travel. Where people's homes or hotel rooms were demolished, their personal relics are gone or at least unattributable. Therefore identification by direct reference figures to be spotty. To correlate a list of victim DNA profiles with a list of direct reference profiles is a fairly trivial matter of sorting; correlating relatives with one another is trickier. The evidence available from matching a relative is much weaker that that from a direct reference. Consequently, it is usually necessary to link to several relatives. For a different identification project I made a chart of the effectiveness of various combinations of relatives for identification, but with a much smaller list of possible identities in mind. As the size of the list grows, the need for more relatives increases. The news stories are full of anecdotes about people who lost their entire family, who are the sole surviving member. Can the family be identified from this one person? Sometimes. It is not likely that a living child and a dead brother would share enough genetic similarity that one could pinpoint the identity of the other. But if the corpses of several dead siblings turn up, then the evidence by considering the cohort as a whole could be much stronger. My web page on the "lattice method" summarizes a paper on attacking these situations. There must be many more families that don't make the news because the entire families, even extended families, died, so as yet there is no one looking for them. In some such cases there may be no reference available of any kind  no toothbrush, no relative. Nonetheless in principle there is a chance to identify such a family if it is found. If the bodies can be shown by DNA to be related in a certain way, and if no other family in the vicinity has the same family tree, then we would know who they are. I don't think this outcome is going to happen very often though. There will be additional complications that neither I nor anyone else has yet thought of. FOREIGN OFFICE REFUSED EXPERT HELP TO IDENTIFY BRITISH VICTIMS: "... 'People who work in such fields know that in heat and water the identification window is very narrow. By not acting quickly the chance was missed. Vital time was lost.' ..."
DECAY CHALLENGES FORENSIC SKILLS "In the tsunami disaster, however, the rapid decomposition is a unique problem"